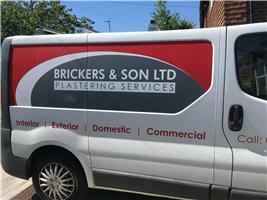 Brickers & Son Plastering Ltd - Damp Proofer, Plasterer based in Eastbourne, East Sussex. Brickers & Son Plastering Ltd have been established for over 30 years working throughout East Sussex. From internal plastering to external rendering, everything from the preparation to the tidying of the workplace is key to our work ethic. We have an extensive list of subcontractors that we can recommend for the more comprehensive job and any new private jobs and subcontracted work is always welcome. Customer satisfaction is most important to us as the majority of our work comes from recommendations made by satisfied clients.